Frederic Chiu's new recording of the piano music of G. I. Gurjieff/T. de Hartmann Hymns & Dervishes was recorded at Manifold Studios, Pittsboro, NC. In Russia Gurdjieff's circle included Prokofiev, Stravinsky, Diaghilev and Nicholas Roerich, while in America Frank Lloyd Wright was an early enthusiastic evangelist for the multi-faceted mystic. The music of Gurdjieff/Hartmann has a number of distinguished advocates including Keith Jarrett. But Frederic Chiu gives a refreshingly different interpretation that emphasises the music's lyrical rather than calisthenic nature. I already have many recordings of Gurdjieff's music, but I will be returning to Hymns & Dervishes frequently, thanks I suspect in part due to the Tao of acoustics*. Photos 1 to 4 show Manifold Studios, which was designed around the sound and dimensions of a concert grand piano by Wes Lachot, who based his design on the acoustic architecture theories of Gurdjieff's student Frank Lloyd Wright. Links between the Enneagram model of human personality that is central to Gurdjieff's teachings and the harmonic ratios that are fundamental to music have been identified. The centuries old discipline of 'speculative music', whose proponents included Johannes Kepler, Alexandra Scriabin, Hazray Inayat Khan and Jonathan Harvey as well as Gurdjieff, views the vibrating energy of music in cosmic terms, and the vibrating energy of the cosmos in musical terms - a view that quantum field theory is now supporting. Speculative music and other esoteric sonic disciplines can be viewed as elaborations of concepts first found in the Tao Te Ching - the core text from which, arguably, all the other great wisdom traditions flow. In the 4th century BCE Lao Tse, the author of the Tao Te Ching, identified Tao as the principle of energy underlying everything in the natural world - a conclusion confirmed in the 20th century by sub-atomic physics. Various Taoist tools were developed to manage energy flows including Tai Chi, Quigong and feng shui. The science of acoustics manages flows of sound energy, and before its misappropriation by the interior design industry, feng shui was an accepted tool in China for optimising total energy flows in a building. Einstein's theory of relativity identified the equivalence of mass and energy. All matter including solids is vibrating energy, and quantum field theory has identified the interaction of subatomic particles that are physically distant. 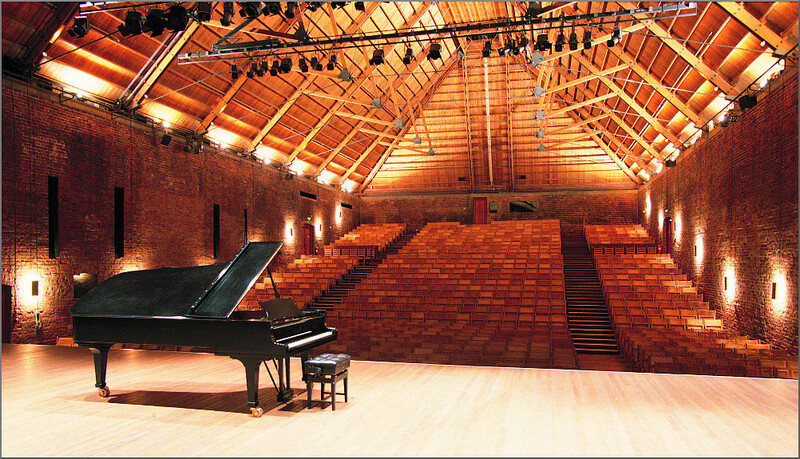 To date acoustics has limited its scope to the interaction effect between sound energy and building materials. But we now know that building materials and all solid matter are pulsating energy just like sound waves, and we also know that the interaction effect of energy fields is not limited by distance. So the Tao of acoustics explains that the reason why London's Barbican and Royal Festival halls refuse to respond to expensive acoustic makeovers is because of the copious amounts of negative energy emanating from the urban wildernesses in which they stand - so forget about the proposed Museum of London site for a new concert hall. Similarly the abundant positive energy of the Suffolk coast contributes to the outstanding sound of Snape Maltings - see photo below - and the magical energy originally harnessed by the mystical Gnawa explains why the unlikely venue of Essaouira in Morocco proved to be such a good venue for Mozart. And before dismissing all this as new age babble, please remember that modern science cannot explain why the most powerful computer is unable to write a symphony, and why a violin made using the latest additive manufacturing technology (3D printing) cannot replicate the sound of a Stradivarius. 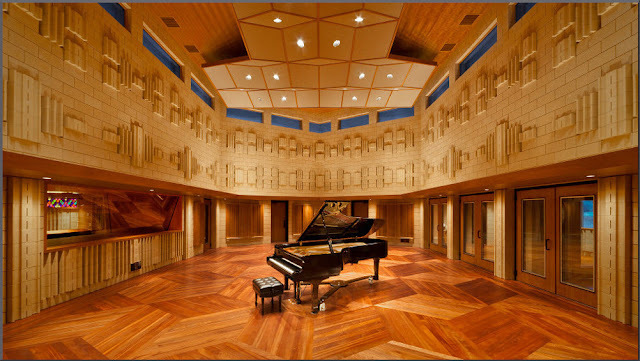 Manifold Studios is one of a new breed of studios that leverages the Tao of acoustics. 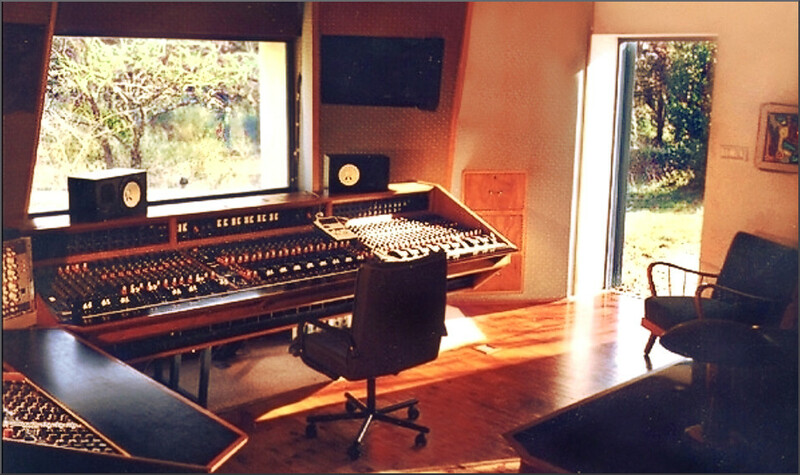 Another studio offering more than Pro Tools is Vega Studio outside Carpentras in Provence. 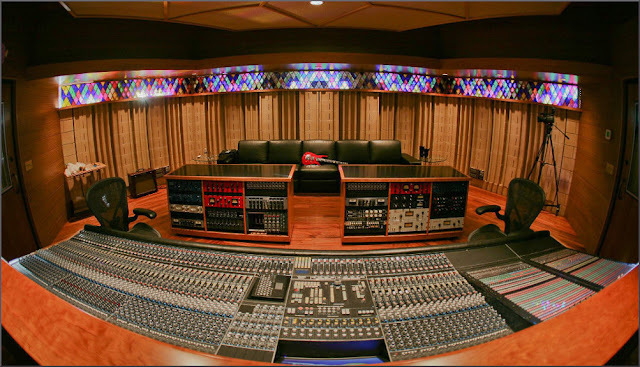 Eagle-eyed readers will note the anachronistic mixing desk at Vega Studio in the photo below. The desk is an EMI TG12345; this was EMI’s first solid-state mixing desk which came into service in 1968 at Abbey Road for the Beatles' post-Sgt. Pepper albums. 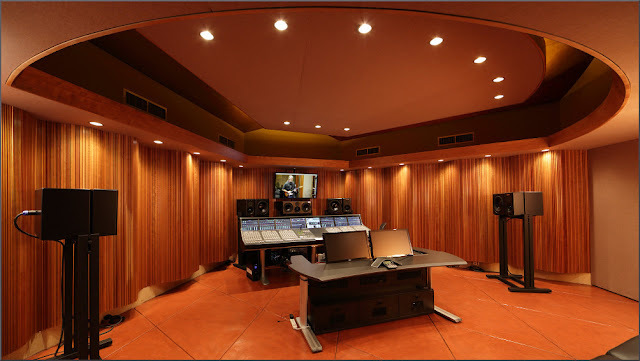 Its sound is so prized that a Waves software plugin developed with Abbey Road Studios allows modern digital desks to replicate the sonic characteristics of the vintage desk, including optional harmonic distortion and hum and noise! In another example of what literally goes around comes around, Waves also market an Abbey Road Vinyl studio plugin which "gives your music the vintage warmth of vinyl records played on classic turntables and needles" - in other words the Tao of vinyl. But the desk in Vega Studio is not virtual. It is the real thing bought from the EMI Pathé Marconi studios in Paris where the Rolling Stones were among the bands that recorded with it. Vega Studio offers other 'old school' studio equipment as well as the standard digital solutions. One notable album recorded there that is high on my playlist is, quite appropriately, Dawâr, the Trio Chemirani's persussion hymn to the mystical and ineffable. * Synchronicity continues as Chiu's sleeve note credits the late Julien Weiss, who founded the Al Kindi Sufi music ensemble which has featured here several times, with tuning input. Also credited is another Overgrown Path mystic traveller Alain Kremski. His La Montagne de la Grande Pureté played on sacred percussion instruments from Tibet, Burma, Nepal, India and China ends with Siloti's transcription of Bach's Prelude in B minor, and Frederic Chiu reciprocates by ending Hymns & Dervishes with his own transcription of Erbarme dich, mein Gott from the St Matthew Passion. In a further example of auspicious synchronicity, shortly after drafting this post I read the recently published Soundscapes: A Musician's Journey through Life and Death by the late Paul Robertson, founder of the Medici Quartet. In it Paul Robertson discusses how his music and life were influenced by the teachings of Gurdjieff and his disciples, particularly Dr F. C. Roles. No review samples or other freebies used in this post. Photos 1 to 3 from Manifold Studios website, photo 4 from Studio Vega. Any copyrighted material is included as "fair use" for critical analysis only, and will be removed at the request of copyright owner(s). Also on Facebook and Twitter.